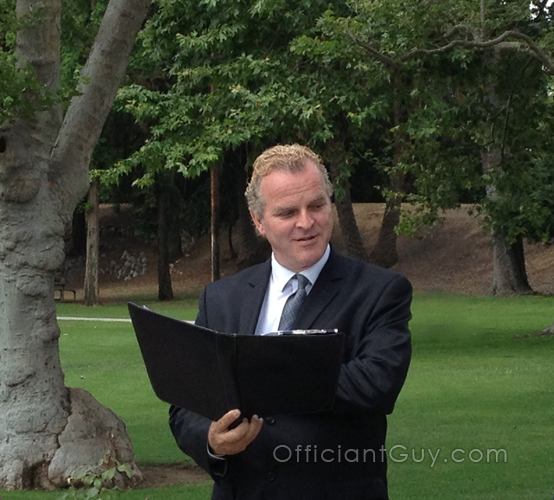 Officiant Guy often officiates an atheist wedding ceremony since many couples request it. Click on Types of Wedding Ceremonies to see a partial list of the types of wedding ceremonies that The Officiant Guy has officiated. An atheist wedding ceremony, or essentially a non religious ceremony, is no problem for Chris. He, therefore, embraces the idea that you should have the wedding vows of your choice. You should not be judged on your wedding day. Officiating atheist wedding vows is something he does often. So if you’re looking for wedding officiants in Los Angeles to perform an atheist wedding ceremony based on your beliefs, you have the guy…the Officiant Guy. Many times we have heard of wedding ministers who put their own agenda into a wedding. Consequently, they either forget and drop in some religious blessings. Or they slip in verbiage into a nonreligious wedding ceremony. Or even worse, they’ll intentionally put their own personal religious beliefs into a wedding ceremony. Sadly, that’s ignoring your desire for an atheist wedding ceremony. The Officiant Guy is not like that. That’s why he is one of the most trusted officiants in Southern California. Most of all, he respects your right to have a wedding ceremony officiated the way you want it done. So, if you want a secular wedding ceremony or no religion that is totally fine. His goal is that your wedding ceremony format should be spoken as you intended, and therefore, you should be respected for the beliefs that you have. If you want a religious, non-religious or just a simple civil wedding ceremony, that should be fine. You can speak your atheist wedding ceremony vows anywhere in Southern California. 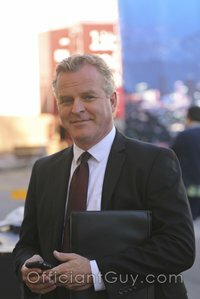 Chris travels within a radius of Los Angeles, from Santa Barbara, Ventura, Riverside, San Bernardino, Santa Ana, to San Diego. You don’t have to worry. Chris will recite your non-religious wedding vows in any manner that you wish. 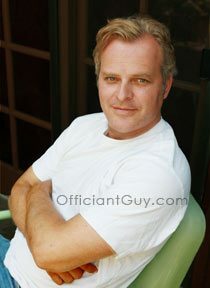 He is the best wedding officiant in Los Angeles County. His calming influence on you and your guests, if there are any, will make your wedding ceremony perfect. Chris Robinson is a California marriage officiant. He has been marrying couples and also, delivering LA County marriage licenses for over two decades. If you want to marry in the periphery of Los Angeles County call the best wedding officiant in Los Angeles. Telephone (310) 882-5039 or (562) 547-3255 or fill out the contact form.